Most of resident of Scotland I know agree, that weather here is not as bad as it’s commonly thought. Many of them actually likes Scottish climate, but let’s be honest: everyone sometimes feels an urge to go to the sea, to lie on the beach, walk along the esplanade with insanely huge ice cream cone or to take a picture of oneself under the palm tree… And, suprisingly, weather permitting, Scotland can cater for all of those needs. 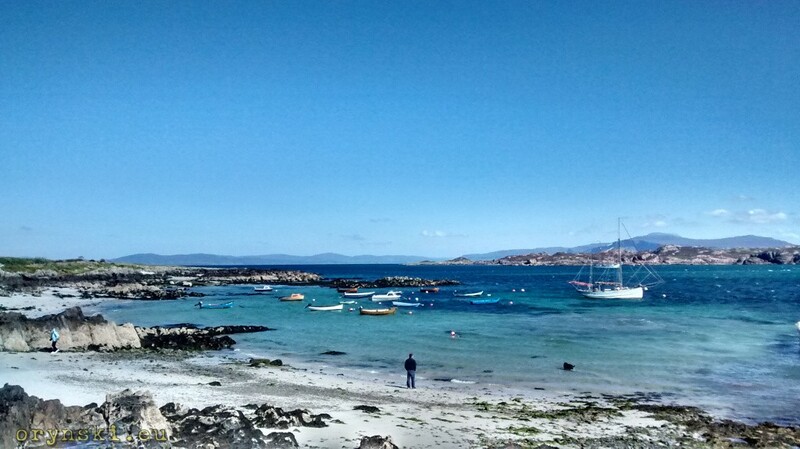 And many such places are located less than an hour drive from Glasgow. So let’s see what Inverclyde and North Ayrshire have to offer. River Clyde, that flows through Glasgow, soon after spills into huge bay, that penetrates surrounding hills with numerous fjord-like lochs. Here ships that want to get back to the open sea, have to go past Gourock and then turn south, where, passing numerous peninsulas and islands such as Cumbrae, Arran or Bute, they can finally leave the firth leaving both Mull of Galloway and Mull of Kintyre behind. 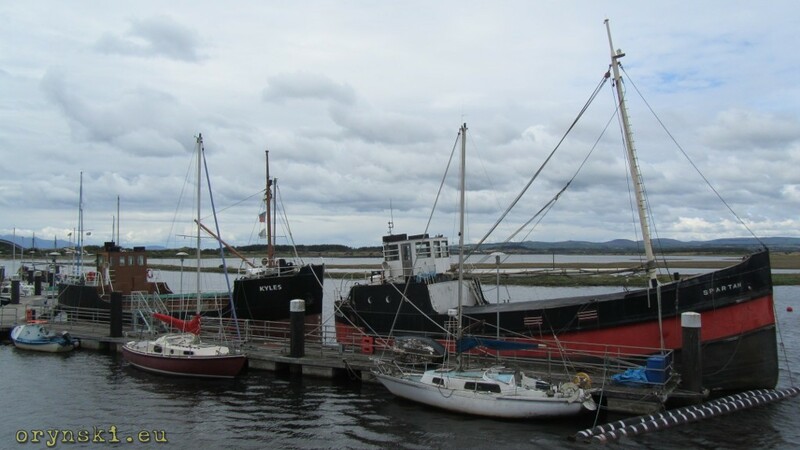 Smaller vessels have one option more: they can use Crinan Canal to get to the western coast. 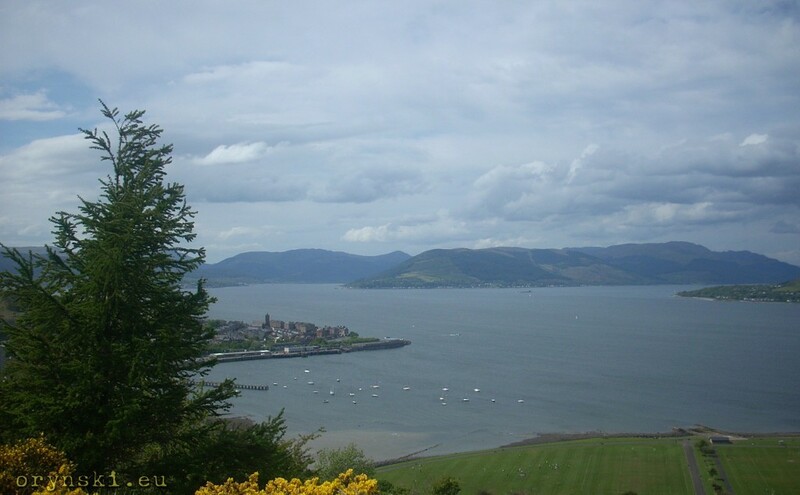 To fully appreciate the beauty of firth of Clyde, one simply has to climb to the top of one of many hills surrounding it. 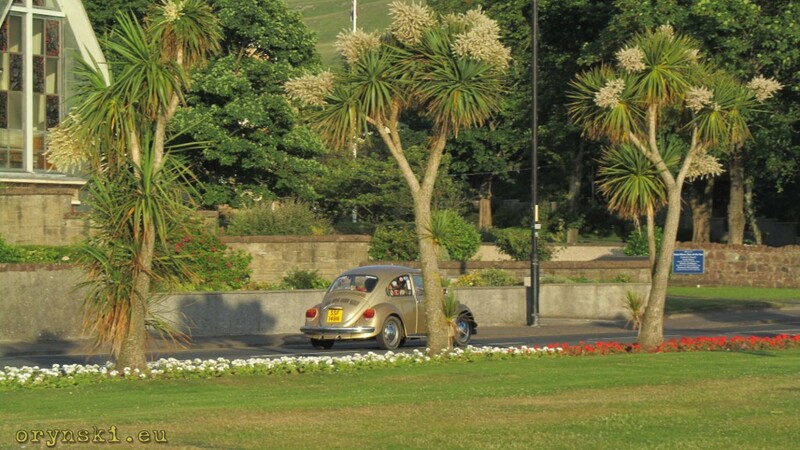 One of the most popular viewpoints is easily accessible Lyle Hill – its summit is just a short walkinto the golf course area from the car park at the highest point of Lyle Road. From there one can see not only naval vessels (including submarines) heading for Faslane base and Helensburgh spreading along the opposite side of the Clyde, but on the good days a peak further north is also possible. It’s worth to know, that this location is highly recommended as a Aurora Borealis watching spot, as above Helensburgh there is hardly any light pollution in the northern direction. 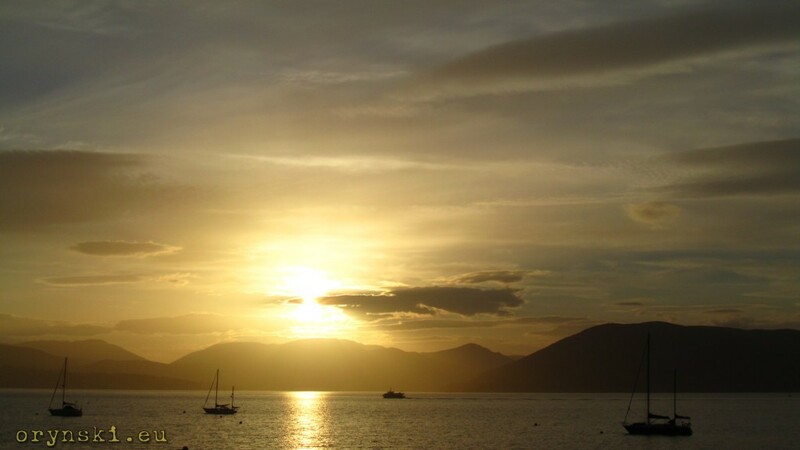 Not far south along the coast a small village Inverkip boasts it’s lively marina surrounded by luxury houses. 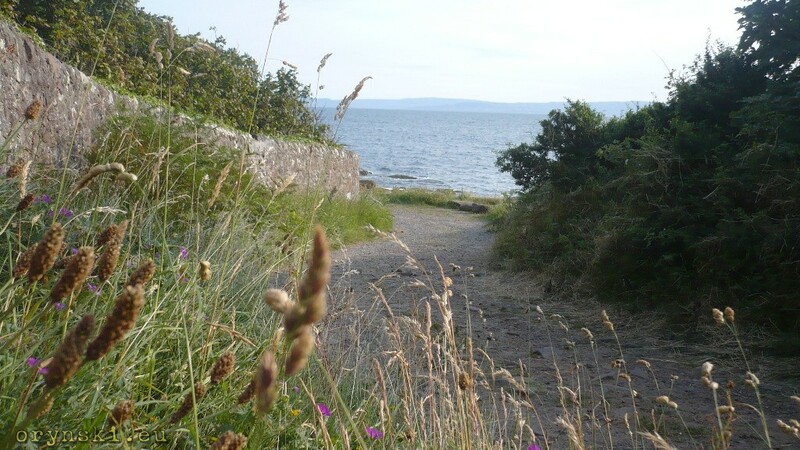 It’s worth to use a narrow path taking you behind the row of houses in Cromarty Grove, as a nice peebly beach is hidden there. 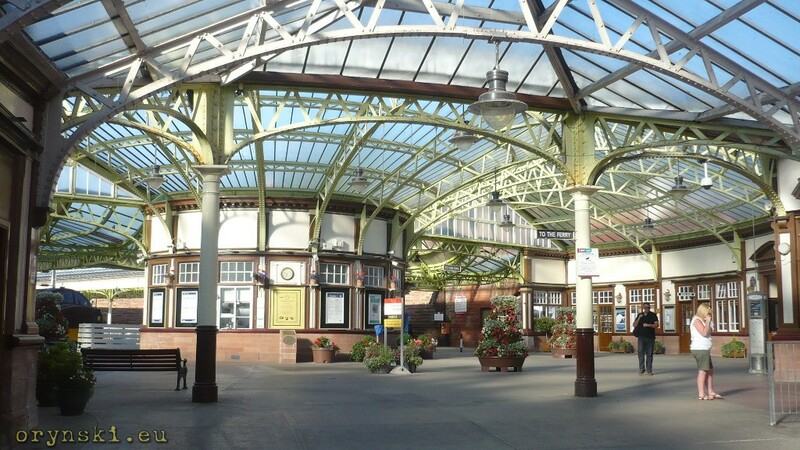 Little further south another nice place worth paying a visit – Wemyss Bay with it’s Victorian railwais station of unusual design, allowing passengers to comfortably change for ferries leaving for Bute’s Rothesay from here. As you can see several ferry routes cut across the Firth of Clyde. 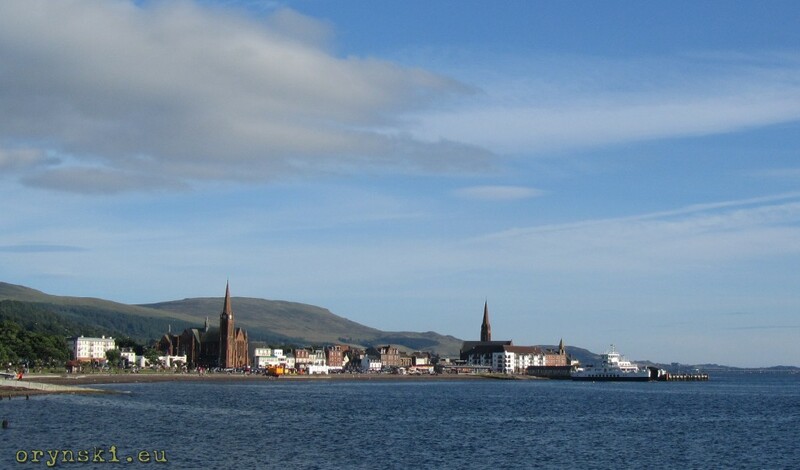 One of the shorter journeys are available on the ferry that calls in the nearby Largs. In less than 10 minutes it ferries passengers and vehicles to the little island of Cumbrae that seems to be just at arm’s lenght. 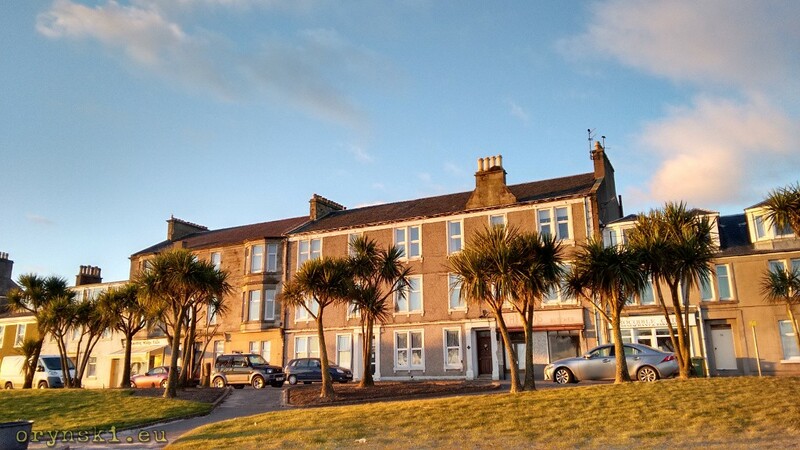 But Largs itself is also an interesting place: it is a true seaside resort. You can get a great ice cream here, walk along the row of palm trees and return by the esplanade and on rainy days traditional entertaiment joints are available. You can also learn about Vikings, who used to roam this parts of Scotland in the local fitness centra and then take a swim in a nice swimming pool. .
For those, who prefer forrest walks over loud seaside town, Clyde Muirshiel Regional Park that lies east from Largs and south from Greenock might be an interesting option. 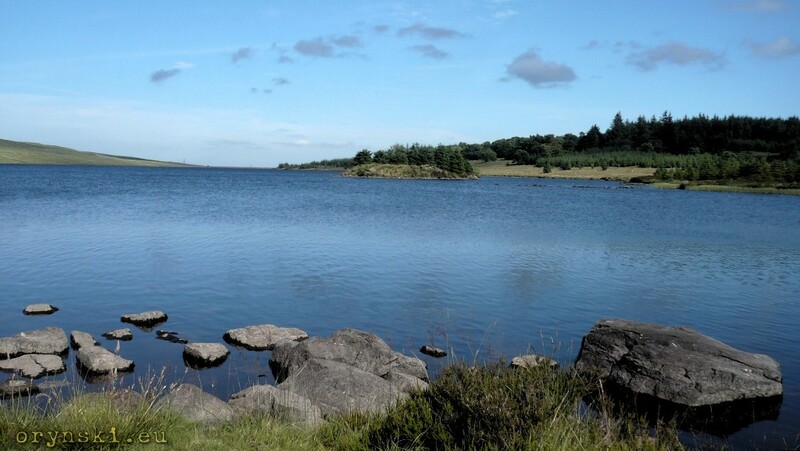 You can drive (or cycle, as there is not too much traffic) across it from one forementioned town to another via Old Largs Road, that will take you between Loch Thorn and Gryfe Reservoir. You can find some nice spots here for fishing, or simply for a quiet picnic at the bank of the water. 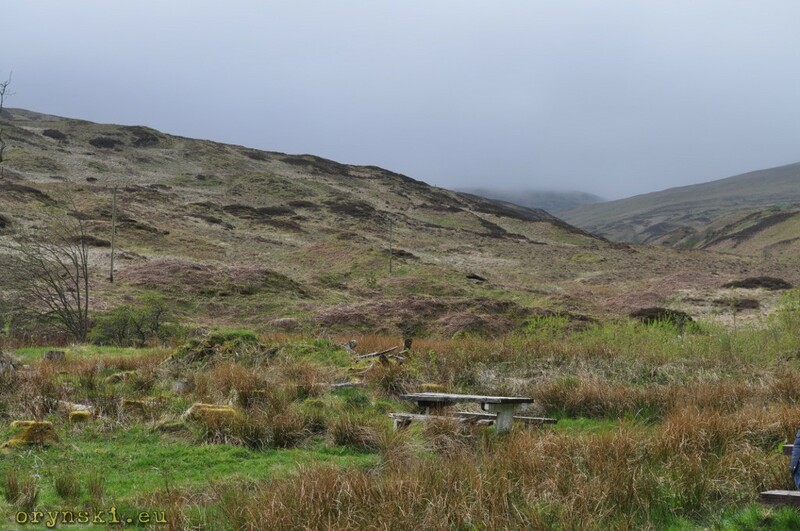 Another good idea is a visit in Muirshiel Visitor centre accessible from Lochwinnoch. Here, apart from some walks in the hills, one can organize barbecue without being too worried about Scottish weather, as a kind of wooden wigwams are provided to protect from the elements. 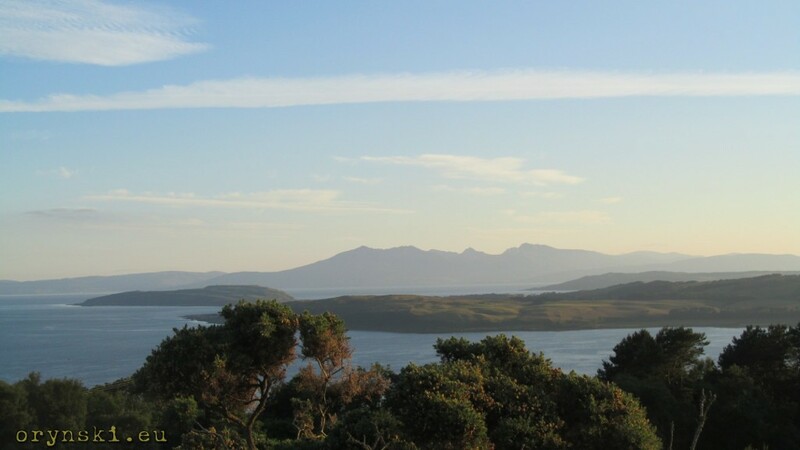 If you decided to go there from Largs, remember to stop at the top of the bendy bit of A760 to enjoy the panorama from the viewpoint that is located there. 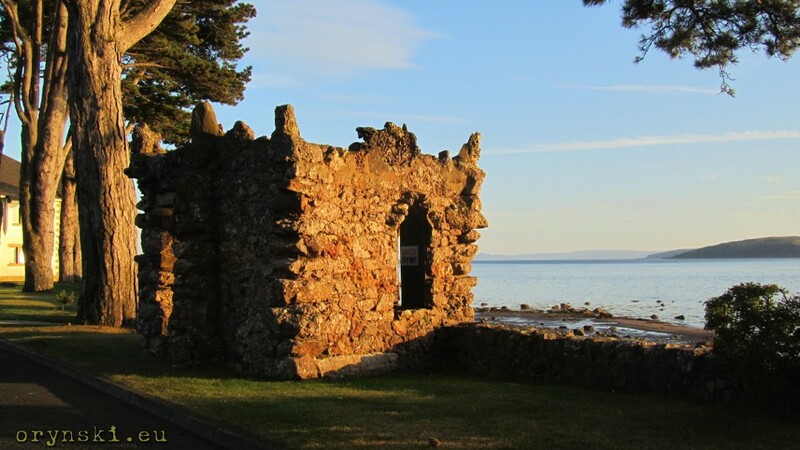 Those, who would rather continue south can have a quick stop on the little promontory hidden behind the houses in Fairlie, where apart from the beach with the view over to the coal port, a nice and clean public toilet is available. 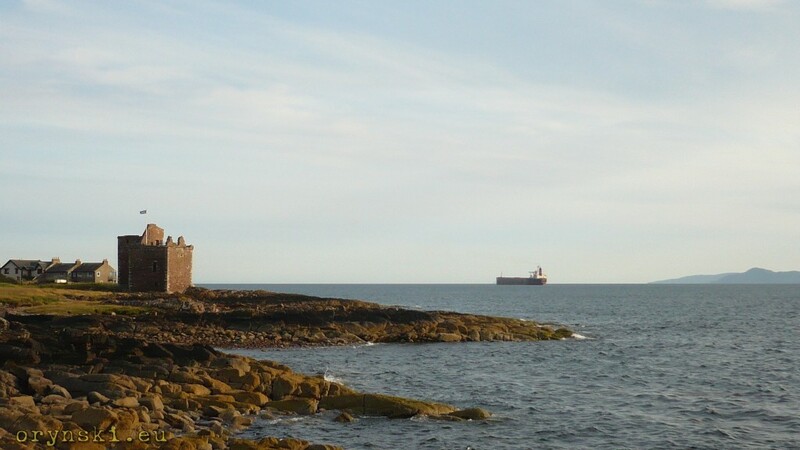 But for longer stay I recommend a visit to village of Portencross with it’s small castle. Here the tarmac end, but it’s worth to have a stroll further along the water. 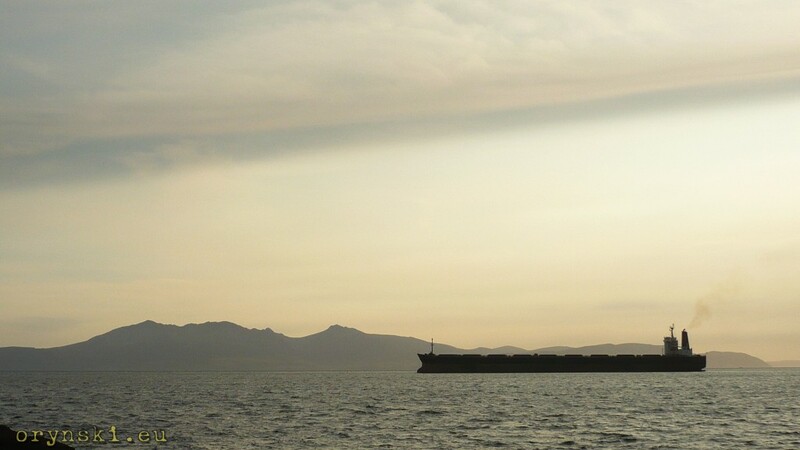 Few hundred meters down that sandy road there is a great spot to watch ships passing on the backdrop of Arran. Portencross is a point where Firth of Clyde widens severly. As a result the type of the coast becomes also completely different. 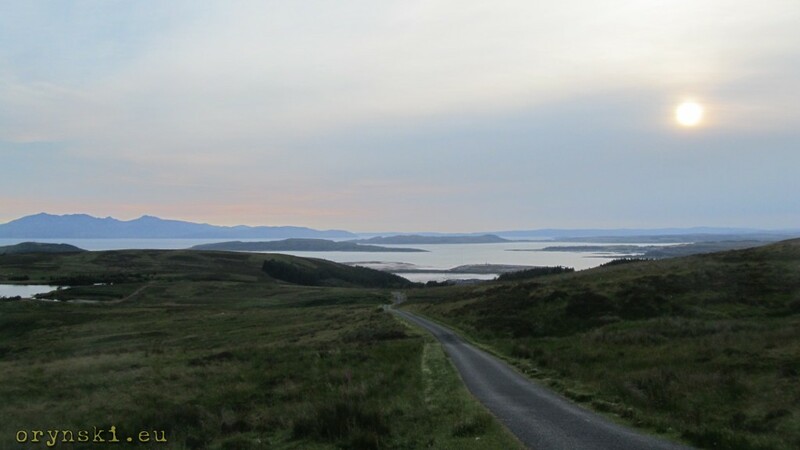 If you are not interested, you can choose to get back to Gladsgow via Fairlie Moor Road from where you could have a last glance over the islands spread across the firth. South from Portencross there will be more and more of sandy beaches that stretch as fas as to Ayr. 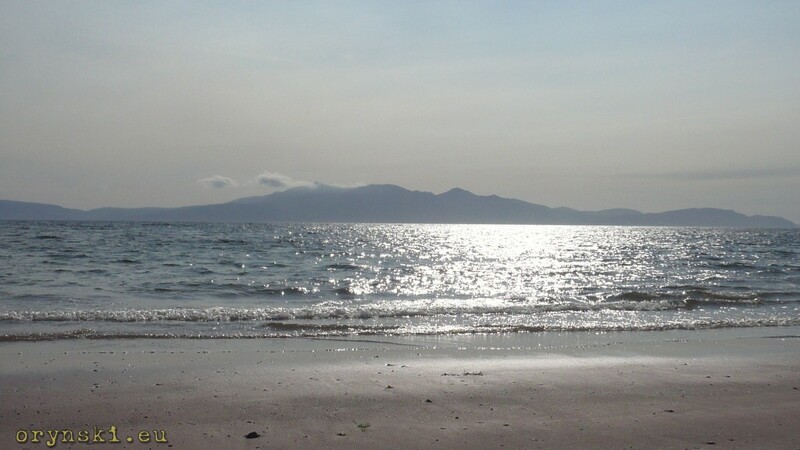 When walking on the sand and collecting shells one could imagine being at the Polish coast of Baltic sea, but the mighty arran dominating the horizon reminds us that we are still in Scotland. 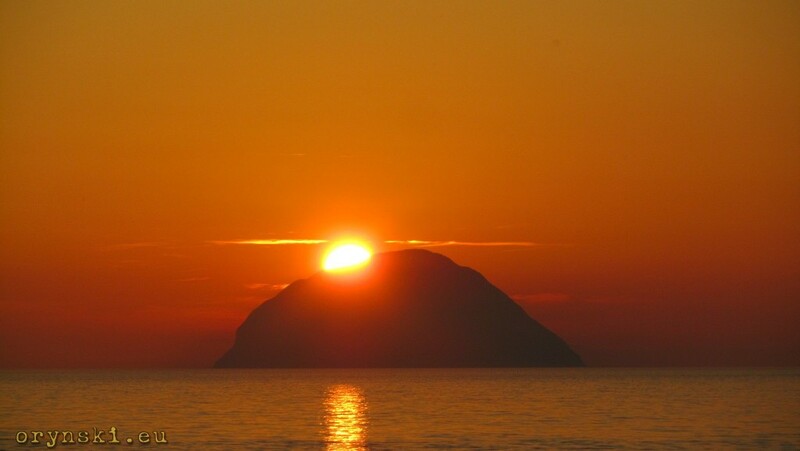 Towns at the Ayrshire coast are more industrial, but it does not mean that they aren’t worth a visit. 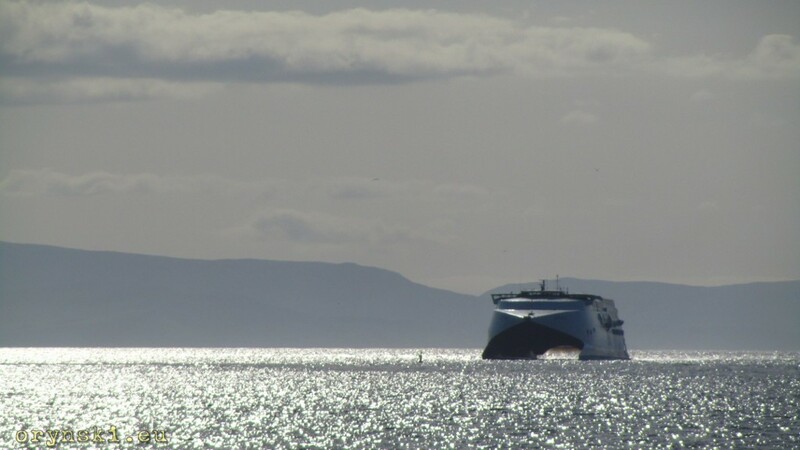 And not only because they are important ferry terminals – from Ardrossan you can get to Arran (and to Kintyre’s Campbeltown in summer), from Troon – quick catamarans take travellers to Northern Ireland. But if you would rather look for some less modern vessels, you will also find something interesting here. Several old fishing boats are usually docked at Irvine’s pier and couple hundred yards up the river there is an interesting maritime museum. 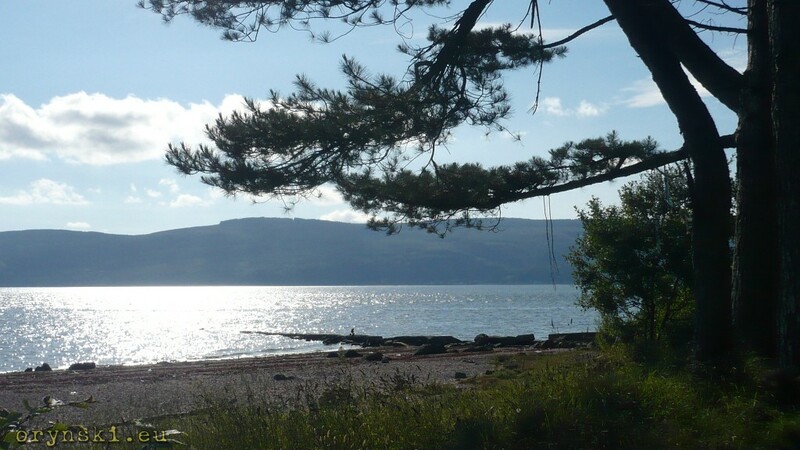 Inverclyde and North Ayrshire, although not really open to the wide seas, have a lot to offer to those, who would like to feel a salty breeze on their faces and hear the sound of waves. For people based in Glasgow this are has also a huge advantage of being really well connected by the public transport. 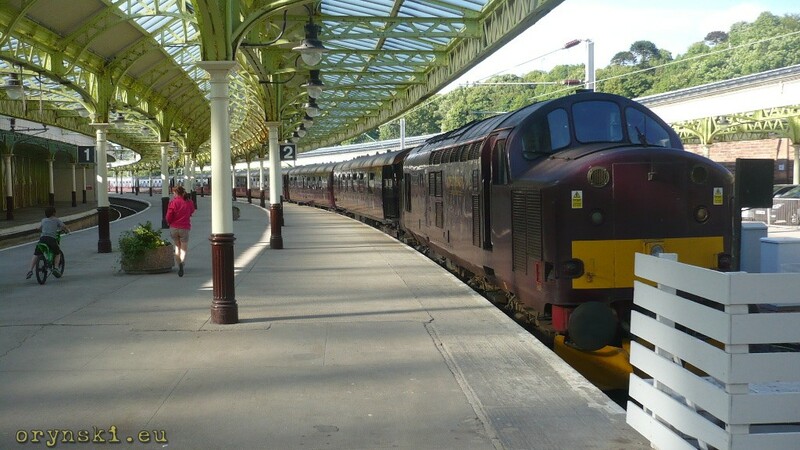 Troon, Irvine, Ardrossan, Fairlie and Largs, as well as Gourock, Inverkip and Wemyss Bay are just a short train ride from Glasgow central station. And the latter are so close, that you could easily get there by the bicycle.